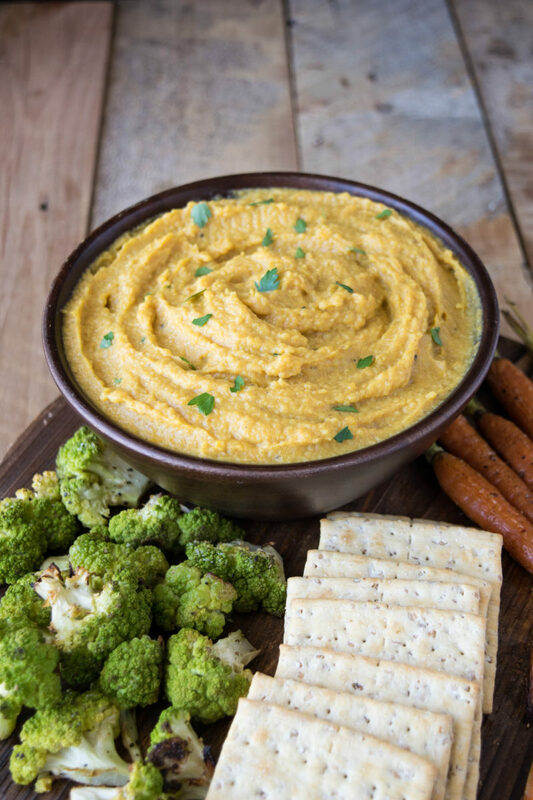 Curry Roasted Butternut Squash and Apple Dip is a delicious coming together of two seasonal fruits and vegetables. 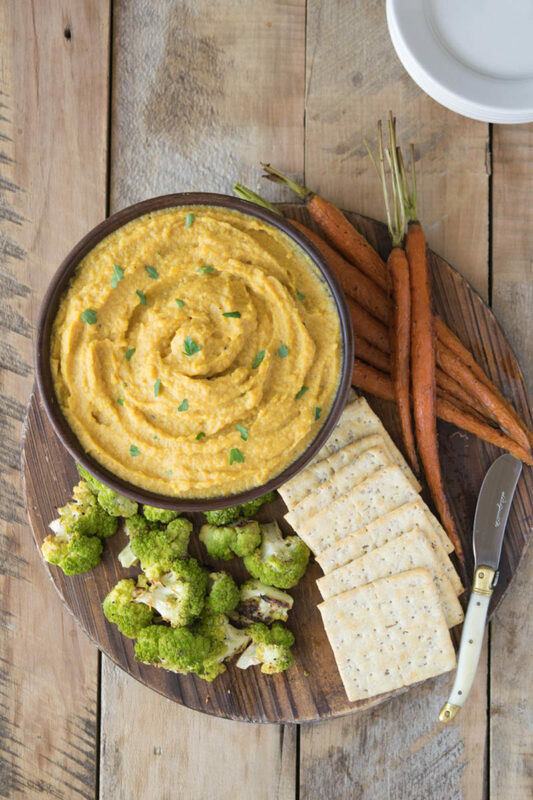 Perfect for fall entertaining and served at room temperature with baked pita chips, roasted veggies or crackers. I couldn’t let apple season go by without using my favorite honeycrisp apples in another recipe. They are perfectly sweet to snack on and in dessert dishes, but have you tried roasting them? They get a lovely caramelization (that made it hard for me to not eat them all). I’ve used them in apple and blackberry crumble and homemade hot apple cider as well as apple ketchup that was used on and in pork, apple and sage meatloaf. Butternut squash is also perfect roasted for the same caramelization and along with roasted onions, I sprinkled them with curry powder for an extra boost of flavor. Once all the vegetables are sweet and tender, they are blended with cannelini beans and coconut milk to make the dip creamy and silky. This dip also happens to be gluten-free and vegan friendly. You can feel comfortable serving it to any of your friends and family, regardless of their dietary needs. I just thought of two more serving suggestions for this dish. It would make a delicious side dish for holiday meals. Or, keep it in an airtight container in the fridge and it makes for a handy, quick snack. It’s portable too so take some to the office. 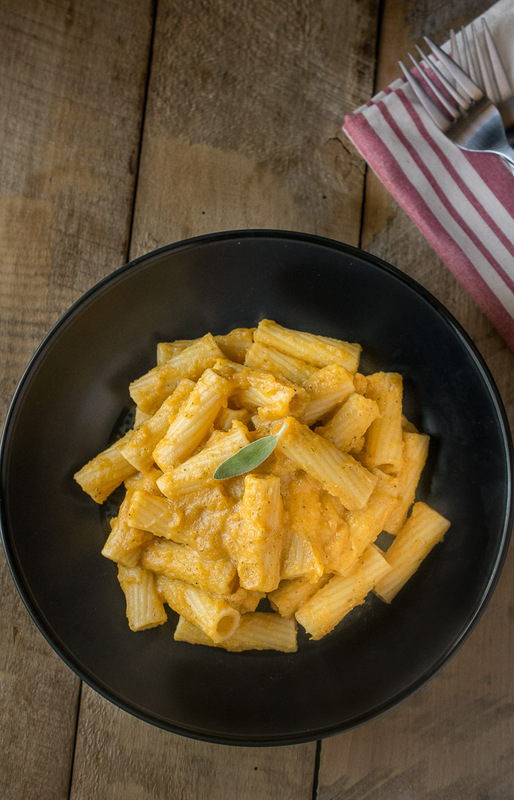 Share it with your friends and maybe they will want the recipe. If you’ve tried this Curry Roasted Butternut Squash and Apple Dip or any other recipe on the blog then don’t forget to rate the recipe and let me know how you got on in the comments below. I love to hear from my readers! You can also FOLLOW ME on FACEBOOK, TWITTER, INSTAGRAM and PINTEREST to see daily recipe updates. Spread the butternut squash and apples onto a onto a baking sheet. Drizzle with oil, salt, pepper and curry powder and mix well. Roast for 20 minutes until the squash is tender. Remove from the oven and allow to cool for 10 minutes. Add the butternut squash, apples and beans to a food processor. Pulse until they are chopped. With the processor running, drizzle in the coconut milk until the mix is smooth. This roasted butternut squash is really looking so good. Thanks for putting it together. Great recipe. 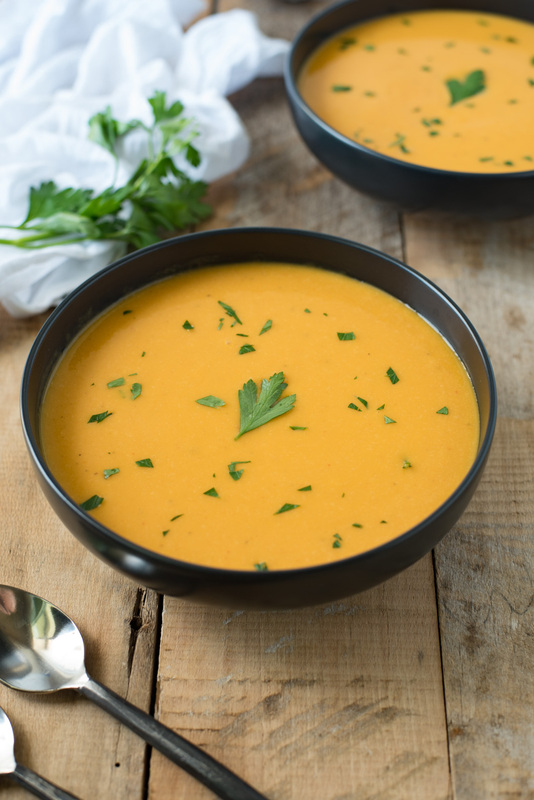 This…I always use butternut for soups but this looks great. Honeycrisp apples are my favorite too – I have been devouring them this season! This is such a wonderful and creative dip, Janette. And I’m loving the touch of curry as well! Love the combination of flavors! Looks fantastic! Mmmm…this sounds pretty amazing, Janette. 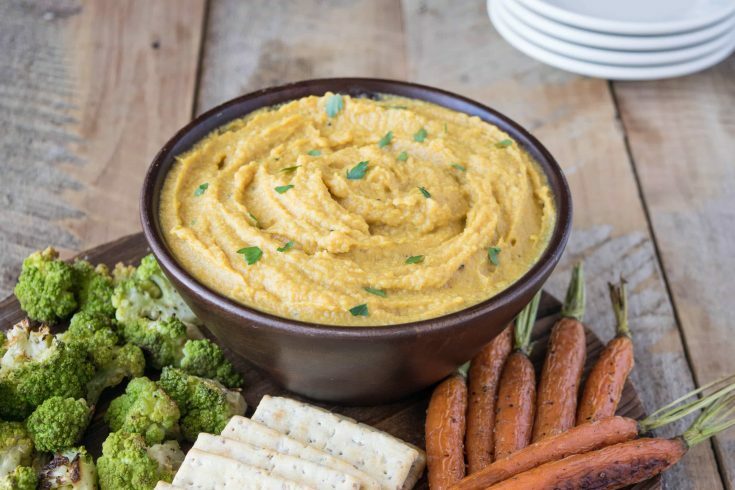 Never tried anything like it, but I’ve tried butternut squash and apple roasted separately and love both, so I’m quite sure I’d love this dip. Nice to come across a healthy AND delicious one! I love this flavor combo! Sounds so good! I can’t wait to try! Oh yum! I love this flavor combo! Sounds so good! I can’t wait to try this! This sounds delicious! I love this kind of unusual dip. Plus, it is gluten-free…an added bonus! I am obsessed with butternut squash this time of year, and it is so delicious paired with curry! What a delicious and healthy late fall snack! This looks totally addictive and delicious!! I love that you’ve added curry to this as well; I’m obsessed with curry anything! I love butternut squash and curry together! This looks amazing and is a great healthy holiday snack food.